Technically, Moore’s film will open briefly later this month in New York and L.A., in order to secure its place as a contender for next year’s Academy Awards. But then it’ll close again, until the day it can open to a waiting, politically activated country, basking in the blessed rays of reason that will emit from movie projectors nationwide. 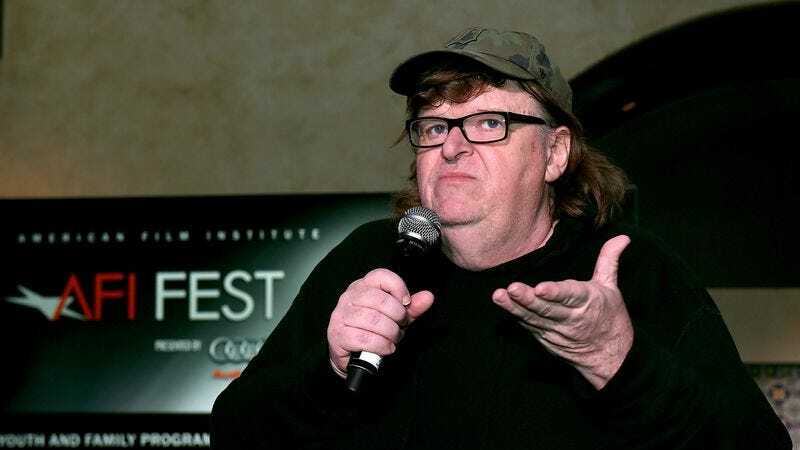 Together, we’ll all join hands, certain in the knowledge that this time, for some reason, Moore’s mixture of populism, pranks, and loud-mouthed bullhorn wielding will create the liberal, socialist utopia he’s been dreaming of, lo these many, Fahrenheit 9/11-ignoring years.